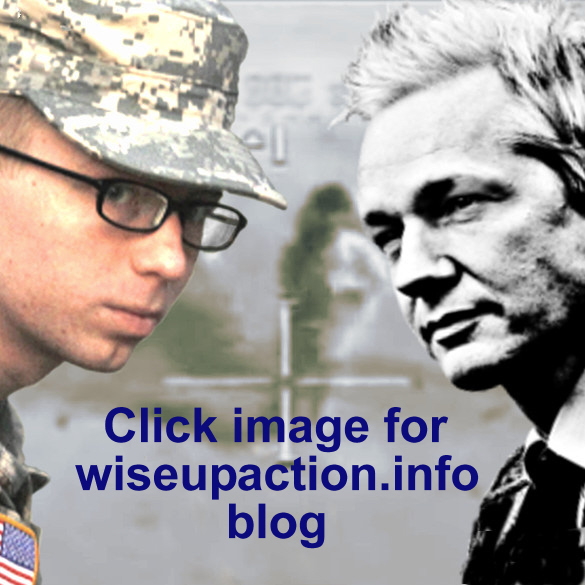 ← ‘Free Manning’ rugby ball signed by Julian Assange – we have a winner! 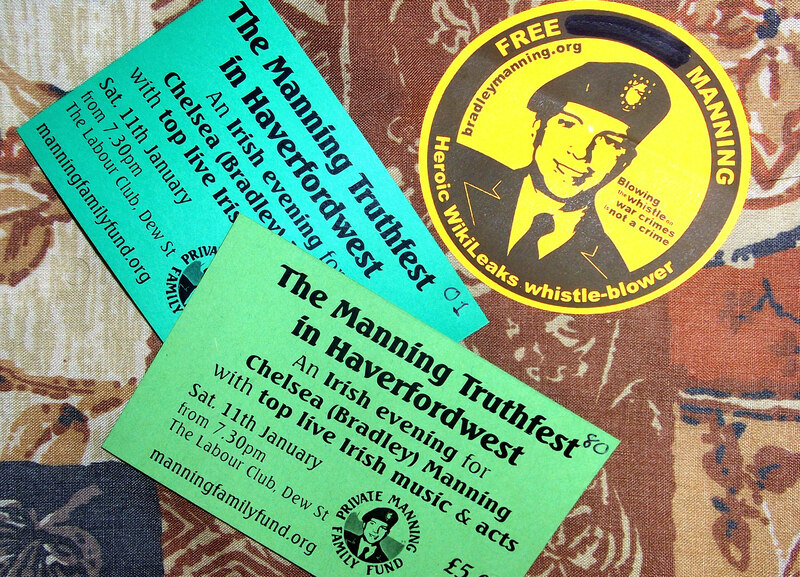 10 & 11 January: The Manning Truthfest in Haverfordwest (and Fishguard). Solidarity from Ireland. Download a print-ready pdf file of the poster here. Chelsea Manning has Irish roots on both sides of the family: her maternal grandfather (Billy Fox) was born and bred in Rathmines, Dublin and two great-grandparents on her Dad’s side (both Mannings) hailed from county Kerry. At the end of November, we accompanied Chelsea’s Welsh-Irish mum, two aunts and uncle to Dublin for three days of solidarity events, meetings and interactions [Reports: 1 | 2 | 3 ]. We want to celebrate truth in solidarity with the Manning family, and in particular the family member who is being punished for following a grandmother’s motto:- if you can’t tell the truth, don’t speak. He told the truth. The Truthfest is being supported by justice and peace group Afri, who hosted our visit to Ireland. 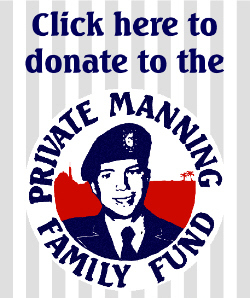 Any funds raised at these events will go to the Private Manning Family Fund, to support Chelsea Manning’s family with the cost of prison visits to the US in the coming months and years. Join us, along with members of Chelsea’s family, in celebrating the power of truth! for an afternoon of Irish solidarity speakers and live music celebrating Truth. for another evening of top live Irish music and acts, with buffet. For more information and ticket enquiries, email wiseupforbm@yahoo.com. 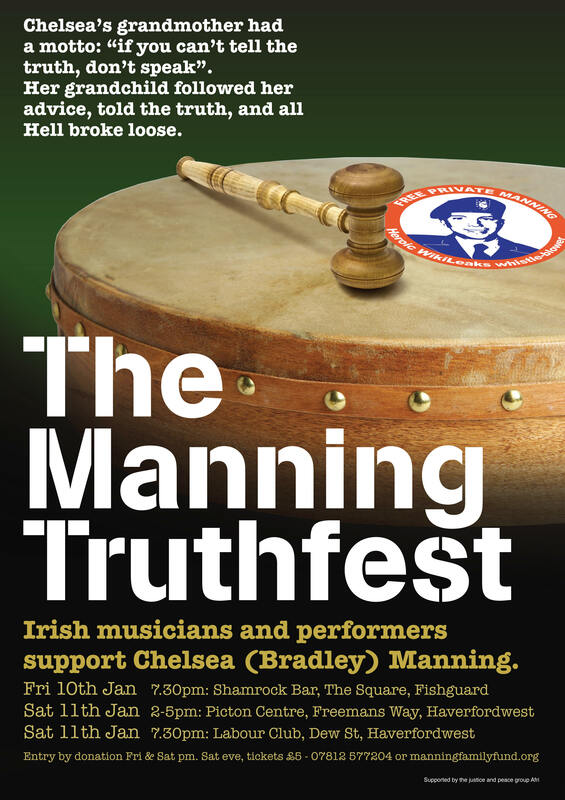 1 Response to 10 & 11 January: The Manning Truthfest in Haverfordwest (and Fishguard). Solidarity from Ireland.